We know sometimes buying in the sales period can be stressful. Big places, full of people looking for bargains. 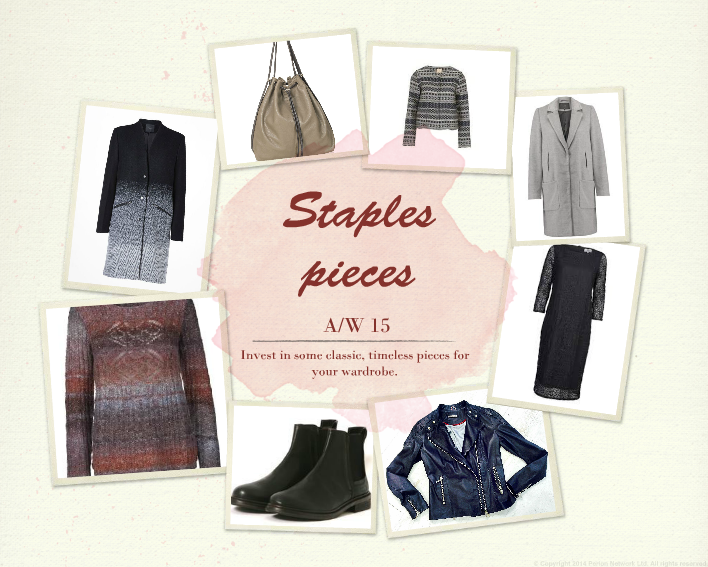 From our fashion boutique based in East Finchley, we would like to give you some tips to more than buy, invest in your wardrobe. 1. Winter coat; 2. Leather boots; 3. Laces item; 4. Chunky jumper or cardigan; 5. Bohemian tunic; 6. Leather bag and 7. Leather jacket. Stripes have been spotted on the runway and carpet for years and are an ongoing seasonal trend that can be worn in a variety of attire, in versatile styles to suit different female figures. I find for shorter females like myself, vertical stripes lengthen the silhouette. This balances out my daddy long legs too, I guess that’s what you would call ‘my body shape.’ Yeah, not ideal. Personally, I have always been cautious about wearing stripes; I guess I didn’t want to look like a zebra. Except our striped tea dress is perfect, the 1960’s inspired vintage tea dress has varied angles of stripes that creates a very flattering figure. This is also available in orange and for me I would wear it with wedges and a cross over bag in the summer. The blend of cotton and linen will ensure a cooler summer in the hotter months. The cap sleeve is ideal for disguising broader shoulders and for anyone concious about wearing sleeveless. The fitted top draws in at the waist, skating over the hips and stomach, which is very complimentary for taller and pear shaped women. Here’s what I put together with my favourite colour this season. 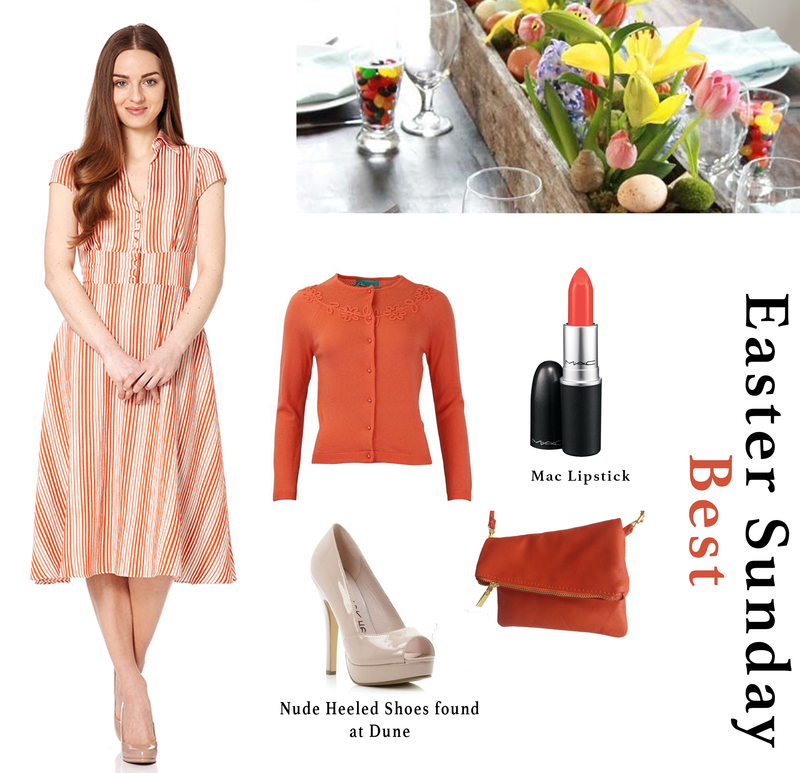 This occasion wear is the perfect Easter outfit to look your Sunday best. Don’t worry I have checked it out and its comfortable enough for you to have your years supply of chocolate eggs. If your figure is anything like mine, a perfect hourglass shape (a girl can dream can’t she? ), when you find a dress that suits your shape you tend to buy it in all the colours available. I love colour and bold, beautiful prints but nothing shouts out CHIC to me like a perfect LBD (Little Black Dress). Getting ready for the party season can be expensive never the less looking good is just as important as getting the perfect gift for your loved ones . The key is to buy wisely, a classic shape black dress that you can wear over and over again with different accessories. Our Pavlola Lace Dress, Roma Lattice Pencil Dress and Winona Dress are timeless fashion pieces that can be worn on several occasions with a jacket, Cardigan and belt etc… My favourite one is the Pavlova lace dress, I love the flattering ruche detail at the waist and the sweetheart neckline….Channel your inner Elizabeth Taylor girls! I love Ruby Woo Matt lipstick by Mac, I wear mine religiously but even more so around the party season. Red lipstick is a must with a black dress it adds a little dazzle to the whole look. Chanel’s Phenix (677) is my ultimate favourite polish, Red polish on short nails adds a Parisian touch to the whole outfit. Clarks party collection is exceptionally good this year, I love these contemporary silhouette Suede stilettos (there’s a mouthful). They remind me of, one of many of my mum’s shoes that i used to try on when i was a child. Clarks wouldn’t really be the first place I would go for glamour, but this season’s collection is va va voom. Aliya.J‘s Black suede envelope clutch would be a great match (the safer choice) with these heels, but if you are a bit more adventurous like me then you would prefer the Red suede clutch (also available in other colours). I think these should be the basic essentials in any girl’s wardrobe, you can add in a Statement ring, Bracelet or Necklace to complete the look.